Home to hundreds of unique people, histories and cultures, Asia is the holy grail of student travel. Affordable adventures await you around every corner! Fall off the grid in Mongolia's Gobi Desert, or see “where the dragon descends into the sea” at Vietnam’s Halong Bay. Book cheap flights to Shanghai and Tokyo to get aerial views of their futuristic skylines. Barter at night markets, explore neighborhoods via rickshaw or swim among whale sharks in tropical waters. From Tibetan Monasteries to the DMZ, Asia is place of spirituality and politics, where the ancient and modern eras converge. Experience every city with an open mind to ensure its hidden wonders reveal themselves. Choose from a huge range of airlines that offer cheap air tickets with exclusive flights deals available only to StudentUniverse members. Once you land, Asia boasts some of the all-time cheapest countries to visit, and cities where you can thrive on just £20 a day. By making StudentUniverse your go-to supplier of cheap one way flights, you can travel Asia on the tightest budget, and spend months backpacking through Indonesia or studying abroad in Beijing. Some countries in Asia have sophisticated transit systems that will take you from city to city. Understand the differences between each kind of train and find out exactly what your ticket gets you. When you’re travelling in China, for example, you want to book “soft seat” train tickets — trust us. In smaller countries, simply do what the locals do. Take buses or the metro, and avoid taking cabs, which have been known to upcharge foreigners. If you are planning a multi-country trip, consider booking cheap international flights ahead of time to avoid confusing language barriers while travelling in China, Japan, or any other Asian country. It’s important to know when you’ll be crossing borders so you can prepare (and double check) all the proper paperwork. In general, Asia is a very safe place to travel. Even in countries that are less stable, violent crime is rarely directed at foreigners. That being said, you still need to do your research. Certain cities are pickpocketing hotspots and you don’t want fall victim to a common scam artist. Browse StudentUniverse tours to guarantee safer, smoother travel. Asia is massive, with an abundance of places to start your adventure. Maybe you’ve always been intrigued by Thailand? If you begin with the bustling street life and rich spirituality of Bangkok then you’d be perfectly positioned to continue your journey south into Oceania, or travel north into Laos, Vietnam, and China. Or maybe you’d prefer Shanghai, China’s financial and cultural center. Visit the bund at night time to see neon lights illuminate the futuristic cityscape. If you like the sound of Shanghai, you might just love the idea of Tokyo, one of the best cities to visit in Asia. This city has everything, and is best tackled at the beginning of your trip when you have a lot of energy. Immerse yourself in Shinjuku nightlife (don’t forget the Ghibli Museum!) and explore the technological pop-culture village of Akihabara. Remember that Japan isn’t all TV screens and anime, and that the Tsukiji Market, Mt Fuji and the National Museum are also worth a visit. Both Tokyo and Seoul are perfect jumping points for a south-bound Asian adventure! "One’s destination is never a place, but always a new way of seeing things." India is one of the best places to backpack, and this enormous mausoleum should be on every traveller’s list. Built in the mid-1600s to house the body of the Mughal emperor’s beloved wife, the Taj Mahal astounds visitors with its ivory marble minarets and stunning mosque. Nestled in the snowy Himalayas, Mt Everest sits on the border of China and Nepal and boasts the world’s highest peak (climb to the top for lifetime bragging rights!). Visit the base camp on either side to get incredible views of the mountain and engage with Sherpa culture. Emperor Qin Shi Huang created the Great Wall when he joined various fortifications to protect against Northern invaders. 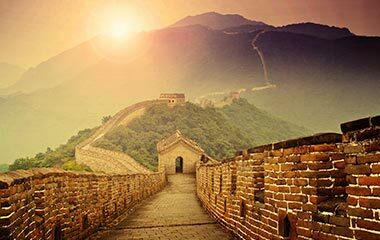 Easily accessible from several locations, including Beijing, the wall is an enduring symbol of the country’s imperial strength. This is one of the top places to visit in China. This UNESCO World heritage site is not only one of Cambodia’s top attractions, but one of the most important archeological sites in the world. The intricate complex served as the center of Khmer Kingdom for several centuries, and encompasses over a thousand temples, shrine, tombs and dwellings. The Hindu temple of Angkor Wat remains the highlight, laboriously construction with sandstone blocks mined from a holy mountain over 50km downstream. Travel back in time and toward Sabah on the North Borneo Railway! Also called the "Land Below The Wind," the Malaysian island’s northern territory is a comfortable sanctuary for peculiar animals. 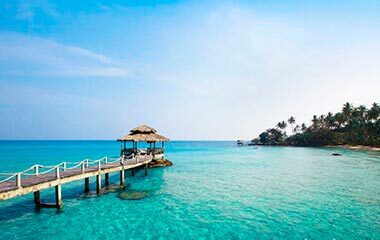 Witness the rehabilitation of sun bears, proboscis monkeys and orangutans!If you’re more interested in ocean life than forest sanctuaries, Sabah also boasts dozens of sandy beaches where you can scuba dive with turtles. Vanessa Iman walks you through essential experiences in Bali, Malaysia, Thailand and more. Budding backpackers and vagabond veterans alike, take note! 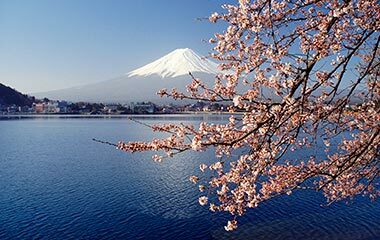 In 2016, Japan welcomed a record-breaking 24 million foreign tourists and with the arrival of both the Rugby World Cup and the Olympics. Looking for things to do on your trip to Beijing? If so, you have come to the right place. We’ve rounded up a list of top things to do during your visit.